Pilates is a method of exercise designed to stretch, strengthen and balance the body. With systematic practice, Pilates yields numerous benefits including increased lung capacity and improved circulation, strength and flexibility, improved posture, balance and core strength to name just a few! The Pilates method was developed by Joseph Pilates. Unhealthy as a child, Joe studied many methods of self-improvement to overcome his physical limitations. He was inspired by the ancient Greek ideal of man perfect in both mind, body and spirit. He studied anatomy and practiced as a body builder, wrestler, gymnast, boxer, skier and diver. Joe developed the “matwork” floor exercises he wrote about in Return to Life through Contrology when he was placed in forced internment in England during WWI. Later, helping to rehabilitate detainees, he used what was available, including bed springs and beer kegs, to create exercises for his patients. These improvisations later became the equipment we use in our Pilates studios today, like the reformer, tower and magic circle. Joe called his exercise system “Contrology” and he based them on concepts and exercises that he developed over his 20 years of self study and apprenticeships in Yoga, Zen and ancient Greek and Roman physical regimens. This system formed the foundation for his style of body conditioning and specialized exercise apparatus, now called Pilates, which he brought to New York City when he opened his first studio in 1926. It started with organized sports. From little league to high school basketball and track and into Division 3 soccer, I’ve participated in athletics as long as I can remember. As an adult, it became about setting goals for myself; my first road race, 1/2 marathon, full 26.2, and triathlon. I’ve always enjoyed challenges. Learning the work of Joseph Pilates is one of these challenges but Pilates changed the way I looked at competing. No more physical pounding, but much greater reward. Instead of feeling wiped out but that I got a great workout, I feel great after my great workout. I earned an MBA in 1998 from a top 10 business school and yet find more satisfaction and personal fulfillment teaching Pilates than I ever did in sales strategy and marketing. Every time someone feels better, stronger or healthier, I know I’m in the right place. 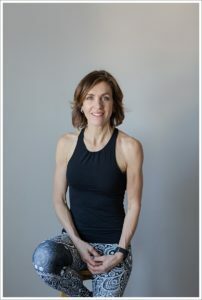 So in 1997, I created Core Value Pilates, LLC, to share my passion for Pilates. I am continually amazed at the wealth of benefits classical Pilates, done as Joseph Pilates taught, offers. I invite you to join me on my journey!